After a major renovation and restyle, the contemporary Birchtree Hotel is now open! From Gaelic Dail Bheithe meaning "valley of birch"
The perfect setting from a leisurely coffee to a night to remember with friends. Designed to celebrate the local area, come join us for a chilled glass of your favourite. Family owned, we are passionate about hospitality and offer an exceptional quality of food and drink throughout. Using only the finest local ingredients and best local suppliers ... don't take our word for it come see for yourself! This family-run hotel offers attractive en-suite accommodation in the centre of Dalbeattie, on Scotland's beautiful Solway Coast in Kirkcudbrightshire. Surrounded by beautiful countryside, it is 12 miles west of Dumfries. 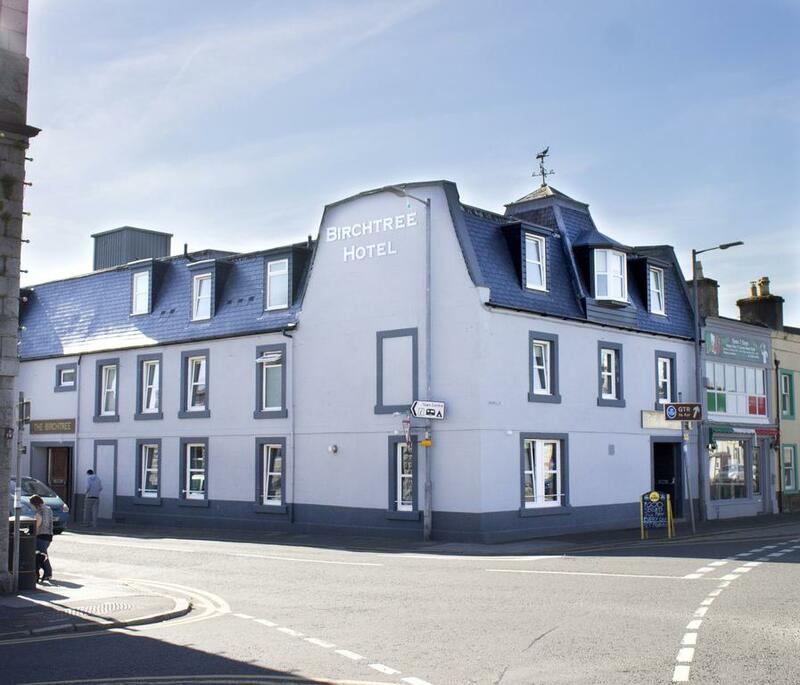 The Birchtree Hotel is a good base point for local beaches, golf courses, fishing, and Dalbeattie Forest, with its mountain-bike trails. Each room at The Birchtree Hotel has tea/coffee making facilities and a TV with digital channels. A generous and tasty traditional Scottish breakfast is provided each morning. Drinks and snacks are available in the bar, which has free Wi-Fi, Sky TV, and shows all the latest sports action. There is also a pool table, dart board and jukebox. 12 superior en suite bedrooms to choose from, each individually named to celebrate the local area and Dalbeatties heroes of the past. Each come as standard with luxury toiletries, flat screen TVs, satellite channels, hair dryer, tea & coffee making facilities and not forgetting the free wifi! Additional storage is available for bikes, golf clubs, wet clothing... you name it - ideal for exploring the surrounding woodland and forest. For those leisure enthusiasts we recommend the famous 7 Stanes mountain trails or the nearby golf courses. Bring the children. We offer extra bed options and travel cots in most of our rooms. And for the dog lovers we also welcome your furry friend to join you.